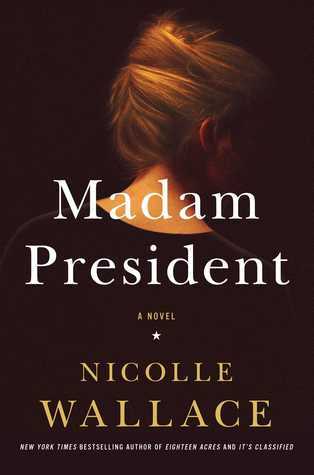 Madam President is a fast-paced, tightly wound narrative about three women – POTUS, SECDEF and the Press Secretary – before, during, and after an international crisis of terrorism on American soil. Recommended for people who like political behind-the-scenes narratives, interpersonal relationships and political intrigue. I thought the book would focus much more on the attack itself and I’m not sure why since the synopsis didn’t hint at that. Instead, it spent about 1/3 of the book setting up the tenuous relational connections between the three women and most of the rest dealing with their day of the attacks. There’s a brief bit at the end set one year later which follows up on things. For the plot, four stars. For making me care about the characters, three. But, it is 3 of a series I haven’t read so I’m giving Wallace the benefit of the doubt that she did that work earlier. I’d say this book is best read with a good glass of red wine, perhaps a malbec? Something sturdy and sip-able, to help ground the soul for the action in the book. Women in politics:: The University of Minnesota has a book club centered around women in politics and thankfully, they’ve shared their recommendations with the internet! “Legacy of Terror Attacks in Fiction“:: This is a NYTimes Op-Ed about the intertwined relationship between terror attacks on the U.S. and fiction. Well worth a read. “Commander in Chief“:: For those interested in women as POTUS, ABC’s short-lived series “Commander in Chief” might be worth checking out. Contemporary, General Fiction, Set in U.S.